Avonlea Armstrong-Green graduated from Brandon University with a Bachelor of Music and Bachelor of Education (A.D.), and was the recipient of the Gold Medal in Music Education. She holds an Associate diploma in piano performance from the Royal Conservatory, a Post-Baccalaureate in Education from the University of Manitoba and is currently pursuing a Masters in Choral Conducting at the University of Manitoba under Dr. Elroy Friesen. She has been teaching music in the St. James-Assiniboia School Division in Winnipeg for 16 years, with experience at the elementary, middle and high school levels. Avonlea teaches high school choir, vocal jazz, and musical theatre at Sturgeon Heights Collegiate, and directs the award-winning St. James-Assiniboia Senior Divisional Choir. In 2013, she was the recipient of the Michael J. Proudfoot Award, recognizing a conductor exemplifying a passion for excellence in choral work. She is active as a clinician and guest conductor throughout the province and enjoys building relationships and sharing her love for choral music with students of all ages. Aside from teaching, Avonlea sings and plays piano in her church band, and loves spending time with her husband Joel, son Rylan, and new baby Crosby. A native of Saskatchewan, Lynn Ewing has taught piano, music theory, and more recently, singing for many years in Saskatoon. Of note has been her work with special needs students, including visually handicapped students and students with autism spectrum disorder. Her students have distinguished themselves locally, provincially and nationally as recipients of diplomas, scholarships and competition prizes. In addition to teaching, Lynn also enjoys performing both as singer and as pianist in a wide variety of settings either as a collaborative artist or as a soloist. She works as a music adjudicator in western Canada and has examined for Conservatory Canada. Lynn holds diplomas in piano and singing from the Royal Conservatory of Music Toronto and Trinity College of London, UK. She holds degrees from the University of Saskatchewan and the University of British Columbia. 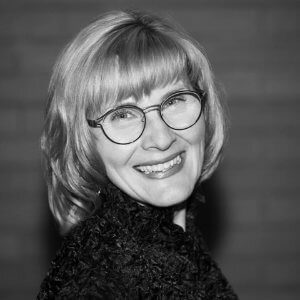 Lynn has been pleased to serve as a director on various arts organizations over the years and is involved both locally and provincially with the Saskatchewan Registered Music Teachers’ Association. She enjoys singing in the Saskatoon Symphony Chorus and attending concerts. Soprano NAOMI FORMAN is a versatile singing actor who has embraced everything from Mozart to Musical Theatre and New Music. She is noted for her “mesmerizing” stage presence. “You couldn’t take your eyes off her - she has that kind of star power.” (Winnipeg Free Press). A proud member of the Canadian Actors’ Equity Association, her favourite stage roles include Alice Beineke (The Addams Family Musical, Lippa), Franka (The Light in the Piazza, Guettel) and Mad Margaret (Ruddigore, Sullivan). Naomi’s most memorable stage moment ever: singing the iconic Sondheim duet “Too many mornings” with Broadway legend Len Cariou and the Winnipeg Symphony Orchestra. A big fan of New Music, Forman recently commissioned a set of five songs for soprano, piano and electronics from Canadian composer T. Patrick Carrabré. Titled “crazy” the songs reveal the thin line between creativity and madness. An album of the same name was recorded in 2017 and is available on iTunes and Spotify. A Brandon University voice instructor since 2006, Forman maintains a busy studio of future performers and music educators and has taught both Opera Workshop and Chamber Music. She has adjudicated music and speech arts festivals across Canada including the Ottawa, Barrie and Stratford Kiwanis Festivals, The Regina Music Festival and the Calgary Performing Arts Festival, as well as the British Columbia, Manitoba and Ontario Provincial Finals. She holds a BMus from the University of Manitoba and an MMus from Boston University, with additional training at Opera NUOVA and the Banff Centre. www.naomiforman.com. Thomas Green is currently Chief Examiner and Pedagogy Specialist at The Royal Conservatory. He holds a Bachelor’s degree from McGill University, a Master’s in Performance from the Université de Montréal and a Ph.D. in Music History from Brandeis University. He studied piano under Clifford Poole in Toronto and Yvonne Hubert in Montréal, and he completed the Diplôme d’Accompagnement under John Newmark at the École Vincent d’Indy. Following brief teaching engagements at McGill University and The University of Toronto, he taught music history and theory for many years at the University of Windsor. Dr. Green currently teaches piano, music history and harmony in his private studio and at The Académie Ste Cécile in Windsor. A former Editor-in-Chief at The Frederick Harris Music Company, he has conducted examinations and workshops from coast to coast on behalf of The Royal Conservatory. He has also served as Lead Facilitator for The Royal Conservatory’s online Teacher Certification courses. He has given presentations on various aspects of music performance and pedagogy at national and international conferences. Last year, he spoke on Stephen Heller and Chopin at the Historical Keyboard Society of North America annual conference in Ann Arbor. Next summer he will discuss the career of Canadian pianist Marie-Aimée Varro at the CFMTA national conference in Winnipeg. Dr. Green is also an Adler Certified Professional Coach. His students and former students include gold medalists, scholarship winners, young professionals and enthusiasts of all ages. 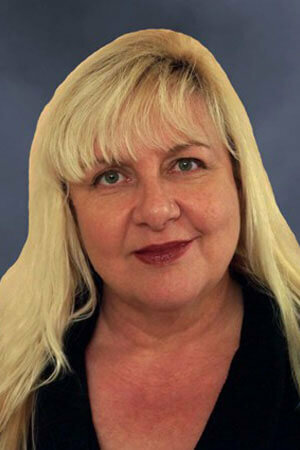 Dianne Gryba resides in North Battleford, Saskatchewan where she works as a teacher, accompanist and choral director. 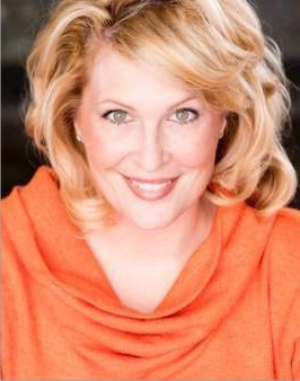 As well as maintaining a thriving studio of voice and piano students, Dianne co-teaches musical theatre classes at the Dance Connection with director, Virginia Winterhalt. She is proud of the many students who have gone on to pursue careers in classical music or music theatre. Dianne has a great love of choral singing. With JoAnne Kasper, she has directed and accompanied several groups in the Battlefords. These include the Gallery Singers, Battlefords Children’s Choirs, and Kamala Youth Choir. The choruses have been honoured with local and provincial awards, and Kamala has taken part in many wonderful festivals in Saskatchewan and beyond, including the Voices West events, which were initiated by Scott Leithead of Edmonton. Dianne has played and performed with her duo-piano partner, Bonnie Nicholson, for almost 3 decades. This joyful collaboration has always been a highlight in Dianne’s musical life. In 2016, Dianne and Bonnie joined with Chris Kelly and Janice Paterson, and initiated a summer school for young pianists and vocalists. SAVP (Summer Academy for Voice and Piano) is now held annually on the University of Saskatchewan campus in Saskatoon. Ms. Gryba is active in the Saskatchewan Music Festival Association as president of the Battlefords Festival, and as a provincial board member. Dianne enjoys the rich variety in her musical life, and she is thankful for the many opportunities she has had to collaborate with exceptional musicians in her career so far. She and her husband, Greg, continue to be involved in the lives of their three grown children and their families. Kathryn began her music career in Portage la Prairie. 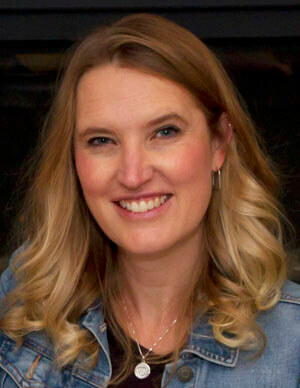 Having earned a Bachelor of Music and an ARCT in Piano Performance (University of Toronto), Kathryn focused on piano and early childhood music instruction. Later in her career, Kathryn obtained a Bachelor and Post Baccalaureate of Education at the University of Manitoba. Her course work in choral and ORFF certification came during this period. Kathryn has spent her career in the St. James School Division, where she has coached recorder, ORFF, and choir in the elementary school setting. She was the director of the St. James-Assiniboia School Division Children's Choir for several years. She now enjoys retirement, which gives her the opportunity to visit many schools as a clinician and continue to share her love of music. In her spare time, she enjoys volunteer work with newcomers, traveling, and golfing. She loves giraffes and is a collector of these interesting species! Award winning tenor Aaron Hutton is one of Manitoba's foremost rising stars. A versatile performer with a résumé ranging from Baroque to Contemporary Musical Theatre, Aaron has become a sought-after crossover artist. Having been recognized as a wonderfully talented tenor, he continues to make a name for himself in both the Musical Theatre and Classical music communities across the prairies. In recent years, Aaron has become a recognized recital and concert performer in Manitoba which has led to engagements with many of the province's leading orchestral and chamber ensembles, including the Winnipeg Symphony Orchestra, the Brandon Chamber Players, the Musik Barock Ensemble, and concerts with Manitoba Opera; and as a soloist with the Winnipeg Philharmonic Choir and Canzona: Winnipeg's leading Baroque ensemble. A familiar face in the local arts and theatre scene in Winnipeg, Aaron has performed with some of the city's leading theatre organizations including Royal Manitoba Theatre Centre, Rainbow Stage, Winnipeg Jewish Theatre, Dry Cold Productions, and Prairie Theatre Exchange. In March 2019, Aaron will join the Winnipeg Symphony Orchestra in collaboration with Rainbow Stage in a production of a beloved musical theatre classic: Guys and Dolls. Aaron obtained his Bachelor of Music in Vocal Performance from the University of Manitoba Marcel A. Desautels Faculty of Music. He is an alumnus of the Banff Centre and the nationally acclaimed Opera Nuova training intensive. In 2011, he was the winner of the prestigious Rose Bowl Trophy at the Winnipeg Music Festival. Stay connected at aaronhutton.com. Soprano Irene Ilic received her Master’s Degree in Music from the Cleveland Institute of Music and has performed a variety of operatic and musical theatre roles in the U.S. and Canada. She has been a guest soloist with many Canadian choirs and orchestras, performing as soprano soloist in works such as Orff’s Carmina Burana, Purcell’s King Arthur, Haydn’s Creation, Handel’s Messiah, Bach’s St. John Passion and the Requiems of Fauré, Duruflé, Brahms and Rutter. Ms. Ilic has a thriving private teaching practice in Newmarket and is a member of NATS, ORMTA and the CMFAA. She has adjudicated many music festivals throughout Canada. She is the founder and director of the Newmarket Voice Festival, an annual event since 1996. Many of her students have won the Silver and Gold Medals for the highest mark in Ontario for an RCM Voice Exam. Her students have starred in the Toronto casts and touring productions of The Lion King, The Sound of Music, Billy Elliot, Mary Poppins, and more. Her annual “Tea & Tunes” student concerts have been held for over twenty-five years and have raised thousands of dollars for Sick Kids Hospital. Irene is very proud that many of her students have gone on to pursue music at the university level and as a career path. Robert Loewen is a graduate of McGill University – D.Mus, M.Mus, and University of Toronto – B.Mus. His teaching career includes; The Crane School of Music – SUNY Potsdam, McGill University, and the Royal Conservatory of Music. Dr. Loewen’s studio includes high school and college students, young professionals and avocational mature singers. His students have been accepted into leading music programs including The Curtis Institute, Eastman School of Music, Julliard School of Music, McGill University, and University of Toronto. His students are working in the profession. He is a Senior Examiner of the Royal Conservatory of Music in both Canada and the United States. Dr. Loewen has presented for The Royal Conservatory at NATS National Conventions, the 2013 NATS Summer Workshop, and workshops across North America. Dr. Loewen adjudicates at Music Festivals across Canada, and presents regularly at Royal Conservatory Teacher Summits. 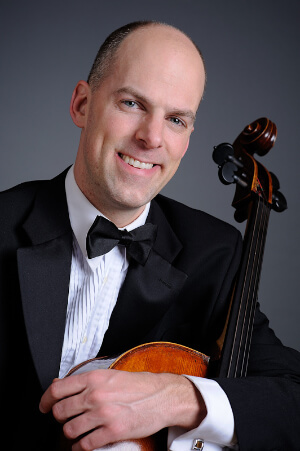 A native of Winnipeg, cellist Vernon Regehr is currently on faculty at Memorial University of Newfoundland where he teaches cello, double bass, and conducts the orchestra. He has made festival appearances with the First Avenue Chamber Players of New York City, at the International Festival of Ensembles in St. Petersburg, Russia, University of Victoria, Artspring, SoundaXis New Music Festival, University of Trinidad and Tobago, Hilton Beach, Toronto Summer Music Festival, Music in the Barns and the Chamber Music Societies of Quebec and Kitchener-Waterloo. For many years Regehr served on the performance and teaching faculty of the Kinhaven Music Festival in Vermont and has given master classes at the Universities of Toronto, Montréal and Ottawa, the Glenn Gould School, Wilfred Laurier, Western, the Winnipeg Violoncello Society, and the Maritime Conservatory in Halifax. His first solo album, Full Spectrum (Centrediscs), features previously unrecorded works by Canadian composers. “…Executed with elegant ease…” (John Terauds, Wholenote), it received a 2014 East Coast Music Award for Composition of the Year (Lamentations, Clark Ross). Vernon recently published eMusic Bach, an interactive iOS App. This electronic edition of the first Bach Suite for Solo Cello uses coloured layers and multiple staves to provide a new way to learn, play and understand the music. Patrick Roux is a graduate from the Conservatoire de musique du Québec in Gatineau. A scholarship recipient of the Canada Council for the Arts, he has studied with David Russell and Manuel Barrueco, among other masters. In 1989, he won the National Guitar Competition of Canada and is also a prizewinner in prestigious international competitions including the Guitar Foundation of America International Artist Competition. While pursuing a career as a teacher and concertist, Patrick Roux has developed over the years a great passion for composition and his works, published by Les Productions d'Oz, are now performed around the world. He is a founding member of several ensembles including the renowned Canadian Guitar Quartet with which he has performed many national and international tours. He has produced several discs with these various ensembles, including Les Scènes de Quartiers which, in 2006, won the Trille Or prize awarded to the best instrumental music disc. The year 2017 marks the completion of his first solo disc devoted entirely to his own compositions. Guest soloist of numerous orchestras and chamber music ensembles, Patrick Roux has delivered the world premiere of many works including his own concertos. He has performed on numerous occasions on Radio-Canada and has played for dignitaries such as the Queen of Jordan and the Prime Minister of Canada. Patrick Roux teaches at the Conservatoire de musique de Gatineau, the University of Ottawa and the International Academy of Music and Dance at Domaine Forget. 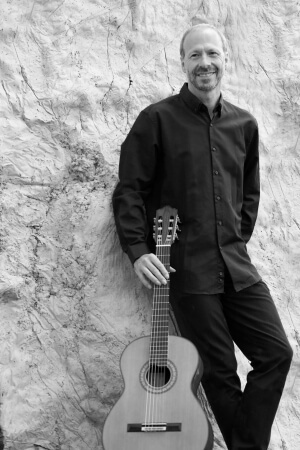 He is the founder and artistic director of the Guitar Alla Grande Festival. Stuart Sladden trained in vocal jazz performance at Humber College and ultimately earned a Bachelor of Music degree, specializing in vocal jazz performance, from the University of Toronto (2002). He then moved to Winnipeg where he earned a Master of Music degree from the University of Manitoba (2012), specializing in Choral Conducting, and is presently a Doctoral Candidate in Choral Conducting at the University of Alberta. Over the last twenty-two years he has enjoyed working with a variety of classical, jazz, church, community, and professional choirs as both a singer and conductor. Most notably, as a member of the Winnipeg Singers and Pro Coro Canada, Assistant Conductor for the Pax Christi Chorale in Toronto and the Richard Eaton Singers in Edmonton, the Assistant Conductor of the Da Camera Singers in Edmonton, and the Artistic Director of the Accord Ensemble, also in Edmonton. Having recently returned to Winnipeg, Stuart is currently a Sessional Instructor in the Faculty of Music at the University of Manitoba, is on Faculty at the International Music Camp, and is the Director for both the Bison Men’s and Joie de Vivre choruses. He is also the founding conductor and Artistic Director of the Rochester Ringers, a new semi-professional handbell ensemble in Winnipeg. In addition to his work here, Stuart is an active clinician and guest conductor, for both choirs and handbell ensembles, across the country and has an ongoing relationship with a major handbell festival in Hong Kong. Derek Stoll obtained a Bachelor of Music degree in Composition from the University of Calgary. He has composed works for concert band, jazz band, small ensembles and solo instruments. Derek studied jazz and brass performance at the Banff Centre and was commissioned to compose and arrange for the Canadian Brass, trumpet virtuoso Jens Lindemann, and the Calgary Stampede Grandstand show. He has performed in various groups on trombone, tuba, euphonium and bass, as well as lectured at Boston University, presenting a workshop to the Jazz History course and a masterclass for piano majors on improvisation. 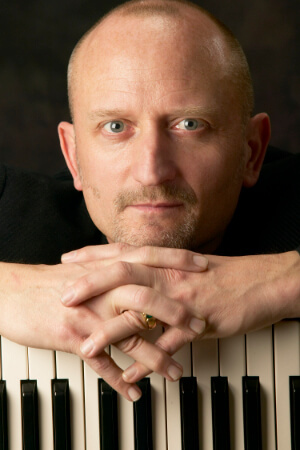 Derek has been teaching jazz piano at Mount Royal University in Calgary since 2001 and has taught jazz theory at the University of Calgary. He is in constant demand as a performer with Alberta jazz ensembles, and performs with Verismo, the Prime-Time Big Band, Terrain, small ensembles under his own name, and countless 'casual' performances and studio sessions. He has performed with dozens of ensembles backing up world-class singers and instrumentalists. Derek was guest conductor for the Calgary Civic Symphony on several occasions. He is currently active as a clinician, adjudicator, and composer. Active in Alberta’s music scene, Derek has served as a Board Member of the Calgary Arts Summer School, Calgary Musicians’ Association, and the Classic Aircraft Association.